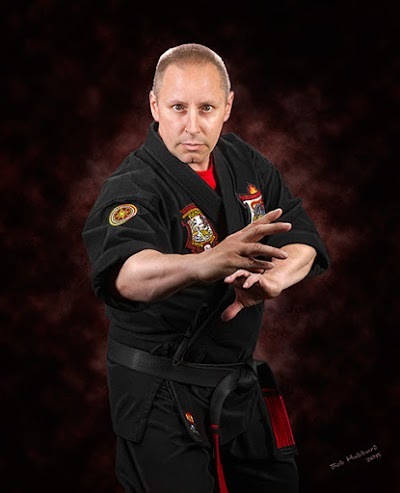 I began my training in 1985 at American Self-Defense Studios in Cheektowaga, New York, under the tutelage of Robert Garus where I achieved my first black belt in 1992. It was during my years of training at American Self -Defense that I met Pastor Robert Hiesner, founder of Warriors of The Sword, a Christian martial arts demonstration team. 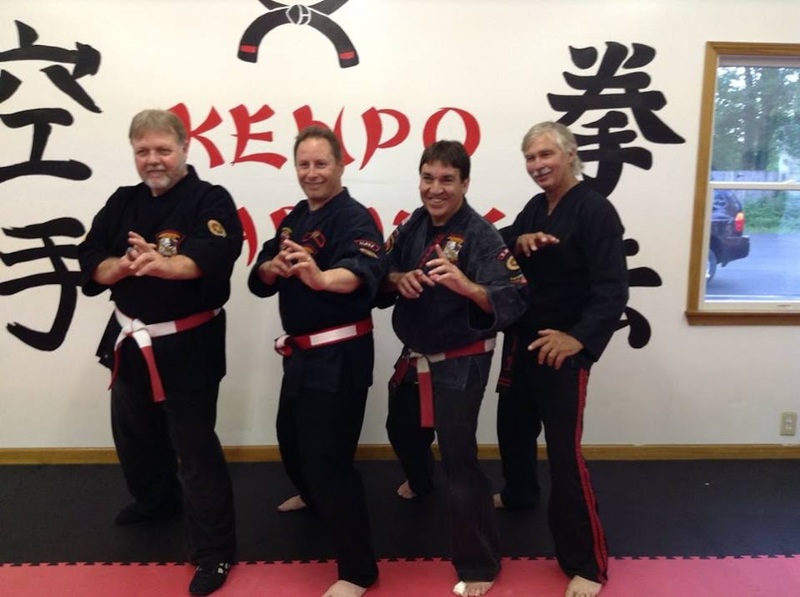 I began training with the team and became a full time member from 1990-1993 during which time we toured at public and civic events demonstrating our martial art skills and sharing our Christian faith with thousands of people. It was at the Darien Lake National Kingdom Bound event that, I was asked to teach a group of students in the basement of a local church. The lessons became so popular at the church that I soon had over 20 students. At that point I decided to open a commercial Karate school with my partner, Mark Acquard, in Corfu New York, and Warrior Self Defense studio was born in 1992. I met Sifu Christopher Zeth during the summer of 1992 and began training in Kempo/JuJitsu. It was during that training at an advanced seminar that I met Robert L. Austin, President of the international organization “United Martial Arts Alliance” from Denver, Colorado. Mr. Austin demonstrated the self-defense technique Five Swords on me like I have never before experienced and I decided right there that I had found my new teacher. Over a cheeseburger at a local diner in Angola, New York we hashed out a plan for me to begin exclusive training under my new sensei in the art of American Kenpo Karate. During my training with Sensei Austin I was introduced to Master Paul Mills, 9th Degree Black Belt from Evanston, Wyoming. I trained with Master Mills for 2 years. In 1999 Warrior Self-Defense was changed to International Black Belt Academy, and I was elected as the east coast representative of the United Martial Arts Alliance. Under the instruction of my teacher and friend, Robert Austin, I have been promoted to the rank of 6th Degree Black Belt. I continue to train as I work to achieve my 7th Degree rank. Sign Up for your First Lesson FREE! Copyright © 2019 Robert Koch's International Black Belt Academy. All rights reserved.